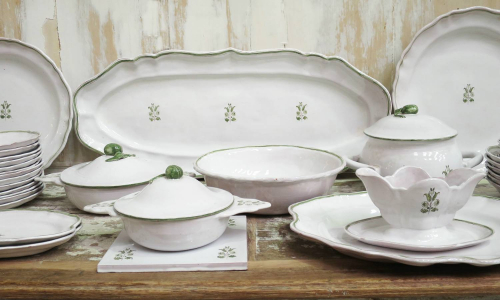 Attractive and Extensive French Faiance Dinner Service from `Moustier` factory circa 1920. Perfect for lunches in the garden with its delicate green decoration on white background. Note the magnificent Fish Serving Platter!